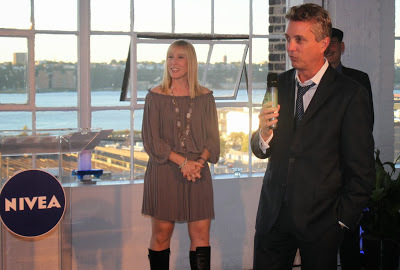 Who else remembers the vintage Zest “Fully Clean” shower commercials of towel-clad people happily jumping out of the shower and fully displaying a towel with the words “Zestfully clean” on it? We are not ashamed to say we did the Zestfully Clean pose on more than one occasion after showering while we were growing up, all thanks to the very catchy jingle. 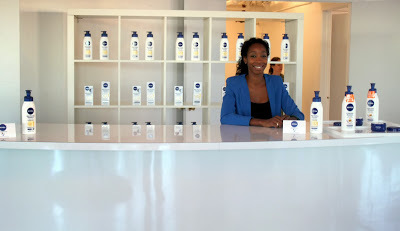 The brand has come a long way since then but the classic slogan, wonderful scents, and clean feeling still remains. 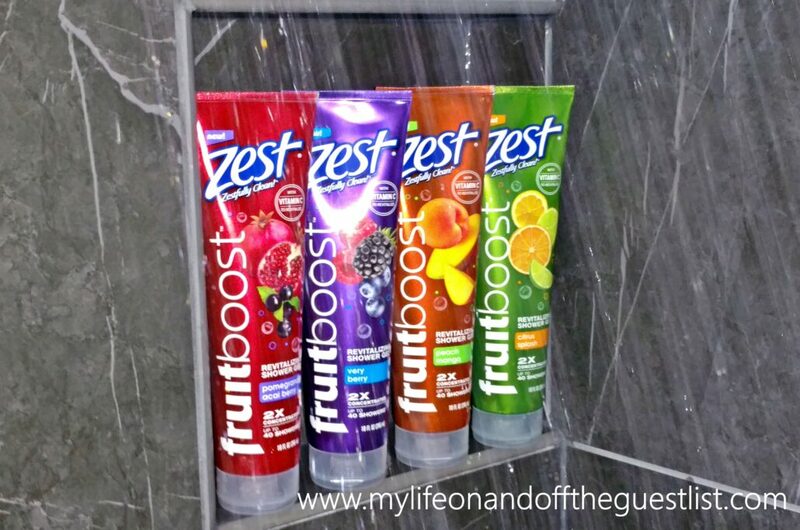 We hadn’t used this childhood staple in a while but we’re back to being “zestfully clean”, moisturized, and possibly recreating that vintage commercial, thanks to their new Zest Fruitboost Revitalizing Shower Gels. 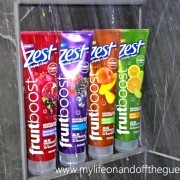 The boldly-hued, easy to grab, Zest Fruitboost Revitalizing Shower Gels boast a twice-concentrated formula that revitalizes your skin with moisturizers and antioxidant-rich Vitamin C. It’s bright, innovative packaging is the first of its kind in the body wash category and every 10 oz tube provides up to 40 showers with lots of lather and fragrance (if you like to indulge in a bit more gel like we do, then it’ll be less), making each quarter size-application go a long, long way for superior performance and value. Fruitboost Pomegranate Acai Berry – Juicy pomegranate and luscious acai berries mingle with pulpy red fruits of plum and raspberry that are wrapped in warm woods and creamy musks. Fruitboost Very Berry – A smooth burst of succulent berries combine in this luscious berry filled scent that nourishes your skin. 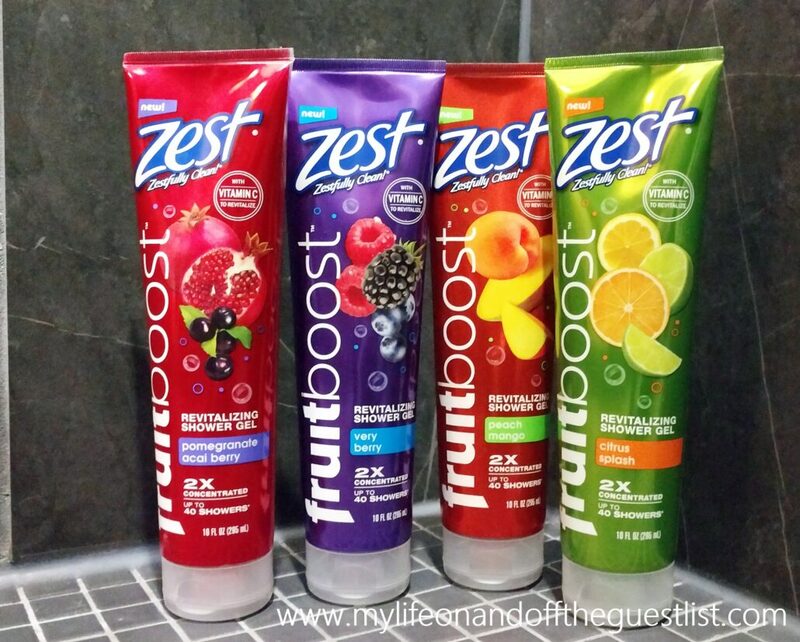 Fruitboost Peach Mango – A deliciously sweet scent. An exotic burst of white peach and champagne mango to boost the power of your shower with this wonderfully juicy scent. 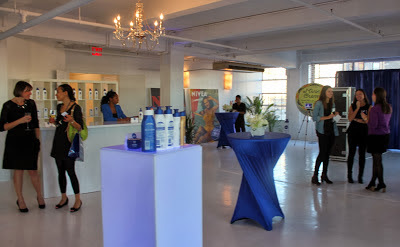 Fruitboost Citrus Splash – The ultimate Citrus fragrance experience. A citrus sparkle with a touch of key lime to boost the power of your shower with an escape to the tropics. Fruitboost Strawberry Kiwi (not pictured) – A succulent blend of newly ripened wild strawberries and red raspberries. Its watery freshness combines with kiwi fruit with hints of honeydew melon and a sparkling splash of bright citrus. 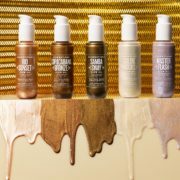 Want to try these new shower gels for yourself? 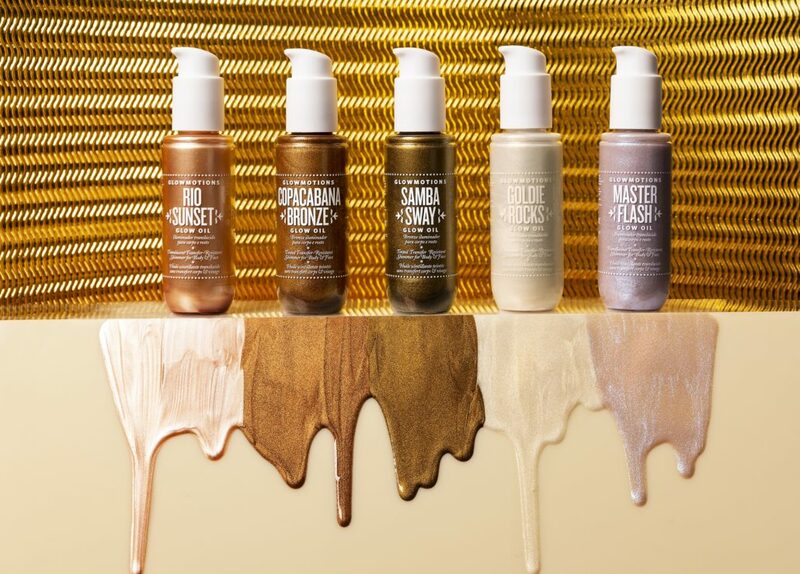 Each 10oz tube is available for $3.99 each at mass retailers, and we’re getting you started with a $1.00 off coupon to try one or all five scents. 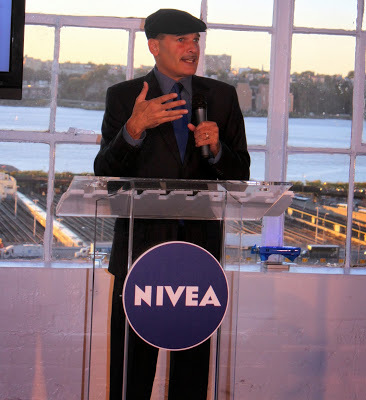 Celebrity stylist, Phillip Bloch was on hand to co-host a wonderful event with NIVEA where they revealed new packaging which offers consumers 25% more products and a new logo using the brand’s classic blue tin as inspiration. 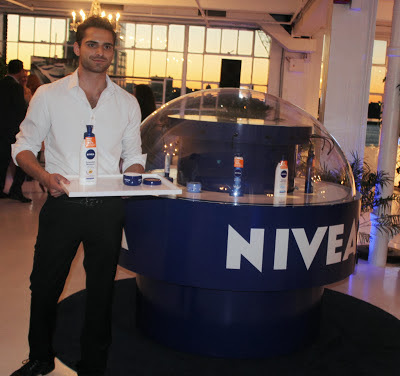 The event featured three product counters, each filled with different NIVEA Body products for guests to try. 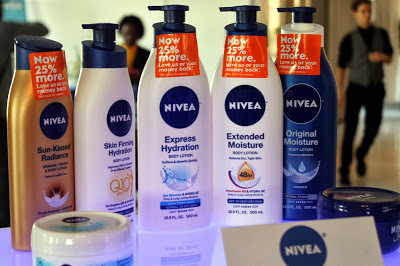 The new packaging, designed by Yves Behar, still embodies NIVEA’s traditional brand values, as Behar drew on NIVEA’s iconic blue crème tin for its new logo. 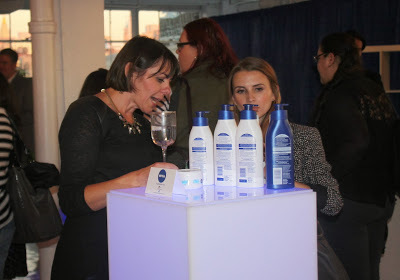 The new packaging also features a more rounded silhouette and a reduction in the blue and white colors. The end result is a cleaner that celebrates the history of this timeless brand. 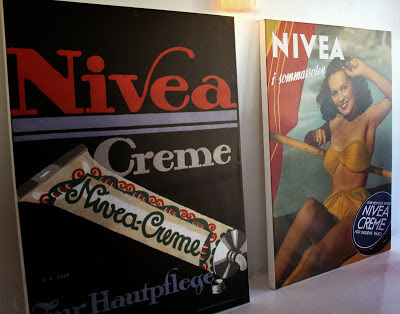 Check out a few more photos from the event which included images form vintage NIVEA campaigns. What do you thie’s new look?